No homeowner wants to hear that their lawn or yard needs to be dug up so that the septic tank can be replaced. It’s a big project with a big mess, and there’s usually a large cost associated with replacement. 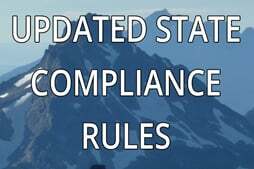 However, for those jurisdictions where plumbing is not connected to municipal waste systems, a septic tank is a necessity. Regular septic inspection in Everett is required to prevent larger more significant issues from occurring. Failing reasons often include how the tank is originally built. A septic tank is designed to let solids settled to the bottom of the tank and decomposes while liquid flows in and out of the tank. Ideally, the solids break down and turn to gas or small material the liquid can wash away. However, when too much material exists or bacteria makes it increase in side, then the tank can clog up, not letting anything flow out. Gas pressure can do this as well as gases can only be compressed so much without a release. Another tank failure reason can be the penetration of roots or plants. Once these roots get into a tank they will cause breaks which turn into big leaks and cracks in the tank walls. The pressure will cause seepage. Regular septic inspection is necessary in order to ensure that your septic system is running properly and that no unidentified issues are present. Full septic inspection should only be completed by professionals such as Superior Septic Services. Our qualified technicians can determine any problems quickly, as well as whether a tank replacement is indeed necessary. 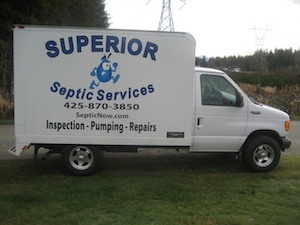 For septic inspection in Everett, contact Superior Septic Services today at (425) 905-2485 to schedule your prompt appointment.